Blackened walls and the pungent smell of smoke greeted me as I walked through the doors of Albert and Norma Duran’s home. It was my first time on the KENS 5/CPS Energy Mi Casa Makeover show as CPS Energy’s spokesperson. I didn’t know what to expect. All I knew was a family was about to have their home made over and I was there to explain how the Mi Casa Makeover was going to help the family lower their energy bills. I listened in shock to the Durans’ story. First, their only daughter was murdered by her controlling boyfriend. Then, a vehicle crashed into their home, nearly killing Mr. Duran. Finally, and almost incomprehensibly, a house fire destroyed everything they owned. I had never been so moved by a family’s painful experience. I started to understand that this would be much bigger than lowering a family’s energy bills. This was about a community coming together to help pick up the pieces of this broken family and restore their hope. With a Mi Casa Makeover, the Duran’s home would get new windows, floors, HVAC system, roof, insulation, kitchen appliances, and furniture for every room. A complete home overhaul, it would allow them to focus on their new role as parents to their late daughter’s child. The joy I felt for the Durans was indescribable and I wanted more of it. The Durans in front of their newly remade home. Since then, as the co-host of Mi Casa Makeover, I have met dozens of families who have shared with me and KENS viewers the intimate details of their lives. More than a few have touched me so deeply I’ve gone home and cried thinking about the turmoil some of these families have gone through. But I am also grateful and honored to have been part of helping these families through Mi Casa Makeovers. So for Thanksgiving this year, I wanted to share with you a few of those stories that have left a lasting impression on my own life. The Navarro’s nine-year-old son Junior was hit by a woman driving while on the phone. Dragged for nearly a mile before his father stopped the driver with his own car, Junior died at the scene but was resuscitated. Now Junior lives paralyzed from the waist down. Then, last year on Christmas Day, his dad suffered a massive heart attack and died. Maria and Junior were alone. A Mi Casa Makeover upgraded their home to be ADA compliant. Today, Junior is a typical teenager, thriving as a sophomore in high school. Mark and Candy Vasquez were pregnant with their third child when Candy was diagnosed with a rare form of cancer. She lost the baby and began the battle of a lifetime. When I interviewed Candy, I saw that the cancer had robbed her of her energy and her hair — but not her spirit or her will to fight. After their Mi Casa Makeover, which included a new HVAC system along with an air purification device specifically to protect Candy’s weak immune system, the family is loving their upgraded home and Candy has been cancer free for over two years! God is great! George Rodriguez (pictured with his family at the top of page) had been on dialysis for the past six years. His name had been removed from the organ donor list because of the poor condition of his home. 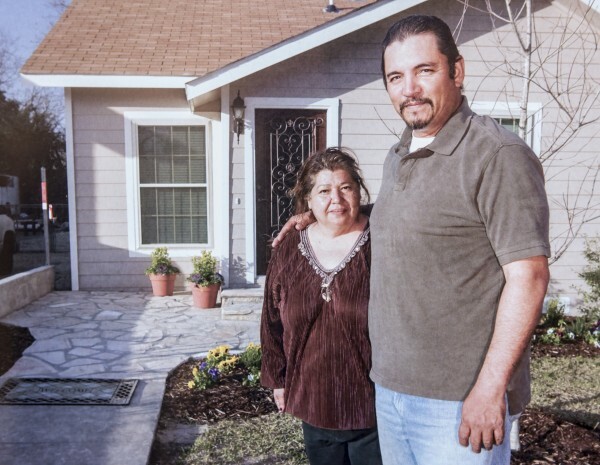 Being chosen for a Mi Casa Makeover meant not only improving his life, but possibly saving it. With improvements such as new Energy Star windows and all new electrical and plumbing throughout the home, I’m happy to report that Mr. Rodriguez is doing well, and is back on the donor list! A brain bleed almost took the life of Samantha Robinson and the baby she was about to deliver. The pair survived, but Samantha had to learn all over again how to walk, talk, dress herself, drive and raise her brand new baby. After two difficult years, her husband left her, with three young daughters. But with the help of a home makeover that included a new HVAC system, new roof and a tank-less water heater, Samantha persevered and got back on her feet. 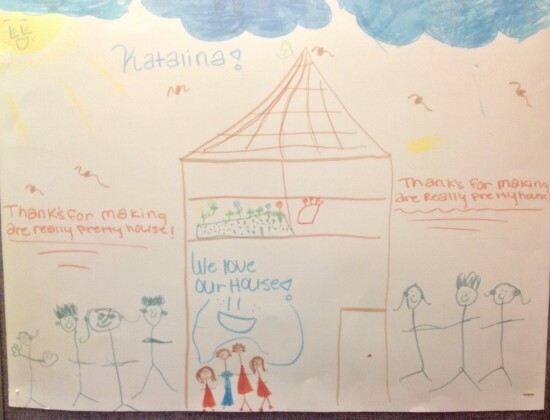 Today, Samantha is happily remarried and enjoying her home with her family. The Mi Casa Makeover show has not only given me a front row seat to some unbelievable moments in people’s lives but it’s also taught me a few things along the way. I’ve learned to notice and appreciate my blessings and how not to sweat the small stuff. I’m also inspired by the many sponsors who donate all the goods and services that make the show possible. With every drive of the hammer, brush stroke, and turn of a screwdriver, with every new appliance and piece of furnitture, these local businesses demonstrate their commitment to our community. I’m also blown away by the outpouring of love our community shows for our chosen families and the big thank you cards I receive. So many people who watch the show reach out to ask how they can help. I’m thankful to CPS Energy and KENS 5 for letting me be a part of such a powerful and life changing program. Please join the celebration on KENS 5 Great Day SA on Dec. 12 at 9 a.m. as we welcome home the Gordillo family, winners of our 28th Mi Casa Makeover. They’re in for a big surprise! And, on behalf of our CPS Energy family, Happy Thanksgiving to you and your family. Enjoy this season to the fullest!